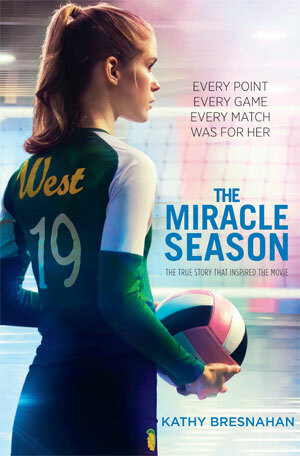 The Miracle Season is the story of 17-year-old volleyball player Caroline Found and the inspiration for the motion picture of the same name, starring Academy Award winners Helen Hunt and William Hurt. On August 11, 2011, Caroline “Line” Found was tragically killed in a moped accident on her way to visit her terminally ill mother, Ellyn. Caroline’s death, and that of her mother twelve days later, shocked her Iowa City community but devastated her father Ernie Found, her Iowa City West volleyball teammates and her tough love coach Kathy Bresnahan. 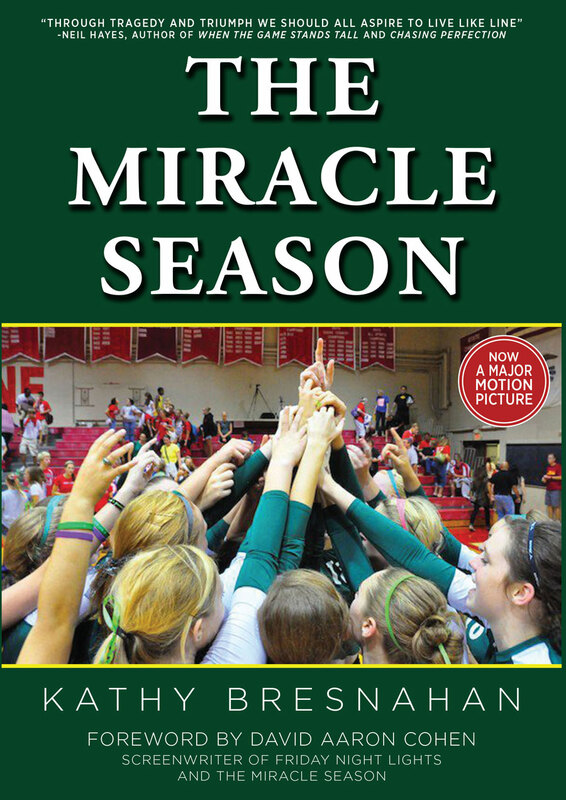 Told in author Bresnahan’s straightforward manner, The Miracle Season chronicles how “Coach Brez” and the West team attempt to overcome their collective grief while practicing and playing a game that serves as a daily reminder of their loss. The team struggles to replace Line, the all-state setter who had led them to their first-ever state title, and as the season unfolds we watch Coach Brez and her players attempt to move forward with tears, laughter and memories of Line. You don’t need to be a volleyball player to appreciate this story of strength, faith, perseverance and love. Bresnahan’s story about one remarkable season inspires all of us with the message that Caroline modeled every day of her 17 years. Click here to watch the HBO Real Sports segment.